It took a long time to put my opinions of this man into near 500 words. So long, that it’s now late. It’s taken 4 drafts just in this session. It’s also been hard to choose, what I believe to be, his most revolutionary, and generally interesting, designs, which are at the bottom of this document. I hope you think the read is worth it. Massimo Osti’s career somewhat reminds me of a phrase often said at the Oscars for the obituaries of behind-the-scenes stars; ‘you may not know his name, but you definitely know his work…’. And like watching a ground-breaking film, its often hard to see what’s so significant about it, because it was copied, sampled and replicated countlessly since its fruition. His work almost single-handedly crafted the aesthetic of technical, casual and sports-casual wear worn by the modern man and woman. He’s not a classic haute couture designer. He designs clothes for you and for me. From pattern cutting, fabric dyeing through to advertising, Osti’s design built clothes for people ready to take on the world. But before introducing the work, it’s important to understand his career and workstyle. He started designing garments in the mid-sixties after his graphic design agency ‘chomp chomp’ began designing graphic t-shirts, something relatively new at the time. If a different creative pursuit took his interest, he wouldn’t try to involve it with his current work. He set it apart, which is why in the mid 70’s, he started CP Company to begin testing textiles. Inspired by a motorcar he’d bought, he began designing clothes for fans of vintage motorsport, which evolved into the goggle jacket (a jacket with the goggles integrated into the hood); still is a statement piece of CP. Then, in the summer of ’81 ‘Tela Stella’, a revolutionary dyeing technique which allowed the same piece of fabric to hold two different colours, was brought to life. 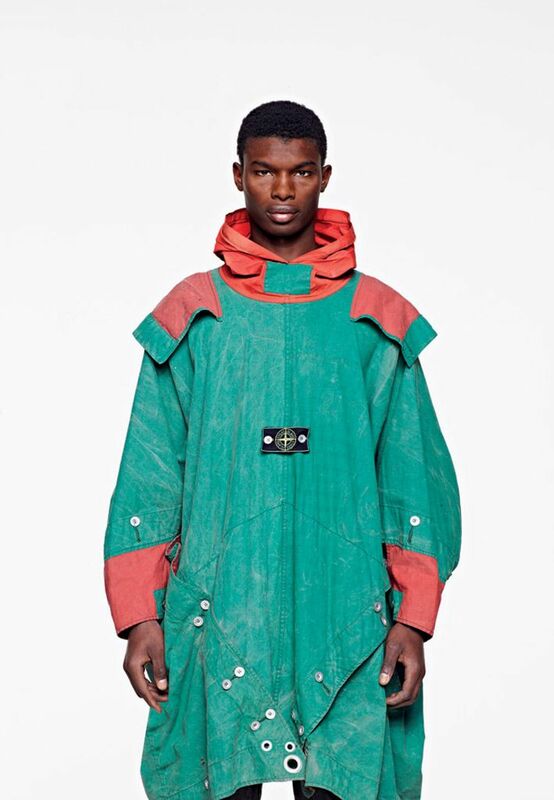 With this, came his most infamous project; Stone Island. Taking inspiration from aviation, European sailing marias and military wear, he began to develop one of the most important cultural clothing brands of the past century. For Osti, his clothes were meant to be worn every day. They were meant to support you, talk to you, react to you, and to take a beating in the process. What set Osti apart, was his integration of utilitarian clothing (garments designed for a specific purpose) into modern wear. He saw the intricate design that went into designing clothes for soldiers and explorers and wanted to take similar principles of technical ability, with little regard of cost, into his own designs. His desire to understand the design processes of utilitarian clothing lead him to build an extensive collection of military and police wear, sailing equipment, motorsports attire, and even astronaut and deep-sea diving suits. The intricacies within the clothing that inspired him caused him to buy an entire garment for a single pocket design, zip function or button design. So extensive was his collection, when he died in 2005, it was estimated he held over 80,000 garments in his collection as reference material. He never stopped collecting what he saw as a foundation of his design so that he could consistently improve and alter for his customers. However, his designs were potent because of his development of his own materials. For Osti, the material design was key- it was the innovation of materials that allowed his garments to push boundaries of functionality. That’s why many refer to him as more of a scientist, rather than a designer or engineer. His factory owns some of the most experimental equipment available. 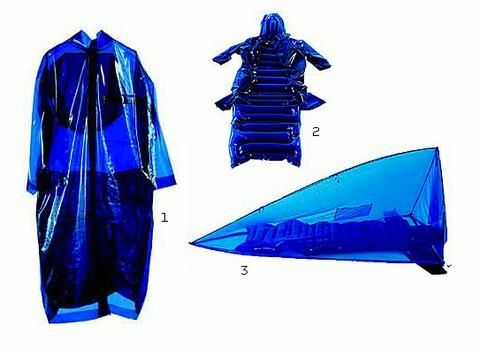 After Tela Stella, he developed some of the first colour-changing with heat dyes, which he integrated into the ‘ice jackets’, as well as Raso Gommato (a synthetic blended with satin, to give a soft, lightweight, and fully rain and windproof material), techno and rubber wool blends, inflatables, and revolutionary reflective materials. Many of these fabrics answered specific needs and solved real problems for people undergoing harsh environments. The approach he took blending these two areas of fabric and style was also unlike anyone else of the period. He never trained as a textiles designer but as a graphic designer. He never learned to cut patterns, so his approach was to draw completed garments with photocopied sections of garments attached. Although not his intention, but through a lack of training, did he manage to cross over different fields of expertise, to give a new style to his clothes. With such an array of inspiration and interests, his garments clearly show a man with no constraint to rules. Here are some of my favourite pieces from his 40-year career.